Manufacturers & Exporters of Nickel Alloy 201 Pipes & Tubes, Nickel Alloy UNS N02201 Seamless Pipes & Seamless Tubes, Nickel 201 Welded Pipes & Welded Tubes in India. 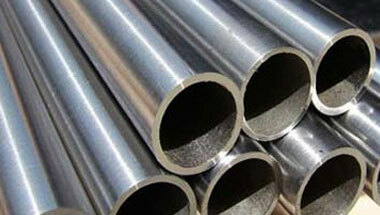 Neon Alloys is a well-known manufacturer & Exporters of Nickel 201 Pipe & Tubes. Backed by the sound state- of- art infrastructure, we offer Nickel Alloy Tubes across the globe. These pipes & tubes are noticed for its Hot Dipped Galvanizing and thickness. While manufacturing it undergoes several processes including Epoxy and FBE Coating to increase the quality of these pipes & tubes. The other types of these pipes & tubes are Seamless / ERW / Welded/ Fabricated to meet the industrial market. Our Nickel Alloy Pipes & Tubes can be customized as per our customer’s specifications and it can be availed at most reasonable price. The alloy is dual certified and has good mechanical properties with excellent resistance to many corrosive environments. It is widely used to handle caustic soda. Where product purity is a priority, Nickel 201 is especially useful. The Nickel 201 Pipes UNS N02201 is manufactured to sustain very high pressure and product warranty. Our product includes tubes and pipes, Nickel 201 Pipes, Nickel 201 Tubes, Nickel 201 Seamless Pipes & Tubes etc. These products are available at best possible prices which is another important feature exhibited by our products range. Nickel 201 Pipes, Nickel 201 Tubes, Nickel Alloy Werkstoff Nr.2.4068 Seamless Pipes & Tubes, Nickel 201 Welded Pipes Supplier, Nickel Alloy 201 EFW / ERW Pipes & Tubes Exporter in India. Mexico, Indonesia, Nigeria, South Africa, Azerbaijan, Turkey, Iraq, Australia, Germany, Colombia, Malaysia, Morocco, Canada, London, Angola, Ethiopa, Bahrain, Israel, UK, Trinidad and Tobago, Venezuela, Africa, Brazil, Russia, Argentina, Peru, Jordan, Sri Lanka, Chine, Kazakhstan, Algeria, Mozambique, United States, Italy, Thailand (Bangkok), Saudi Arabia, Democratic Republic of the Congo, Ghana, Houston, Egypt, Sudan, New Zealand, Uganda, Dubai, Tunisia, UAE, Kuwait, Iran, Vietnam, Cameroon. Hong Kong, Subra al-Haymah, Giza, Port Elizabeth, Tehran, Johannesburg, Addis Ababa, Accra, Mogadishu, Kinshasa, Manama, Zaria, Istanbul, Benin, Kampala, Fez, Bethlehem, Douala, Tel Aviv, Durban, Conakry, Rabat, Sharm el-Sheikh, Omdurman, Luanda, Kaduna, Jeddah, Aqaba, Dammam, Bamako, Cairo, Khartoum, Amman, Algiers, Casablanca, Dar es Salaam, Antananarivo, Lagos, Port Harcourt, Kolwezi, Cape Town, Mecca, Muscat, Abu Dhabi, Freetown, Data from the UN, Alexandria, Dubai, Harare, Jerusalem, Riyadh, Kano, Ouagadougou, Doha, Maputo, Maiduguri, New York, Lubumbashi, Colombo, Byblos, Abidjan, Cairo, Bulawayo, Nairobi, Soweto, Ibadan, Lusaka, Tripoli, Beirut, Mbuji-Mayi, Dakar, Yaoundé, Brazzaville, Pretoria, Singapore.